The ringtone of your mobile phone is definitely an important part of your life. Yes, the cell phone comes with its own set of default ringtones but what if you are looking for a more personalized choice? Well, you have the best ringtone maker applications today that will enable you to personalize the ringtone just the way you want it to be. You can also see Best Websites to Download iPhone Ringtones. 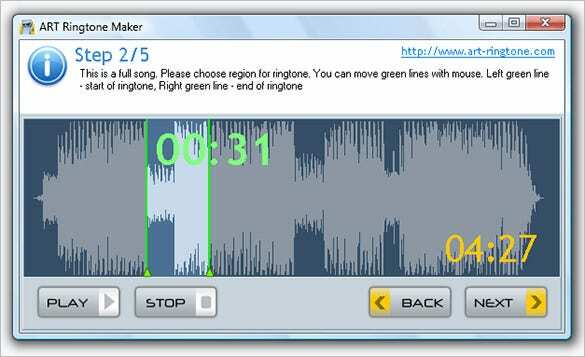 Free MP3 Ringtone Maker is a simple to use app that enables you to create your own ringtone. According to your preference, you can decide the clip time. Who doesn’t like to be the center of attraction? If you too want to be one, customize an impressive ringtone and get ready to grab everyone’s attention. 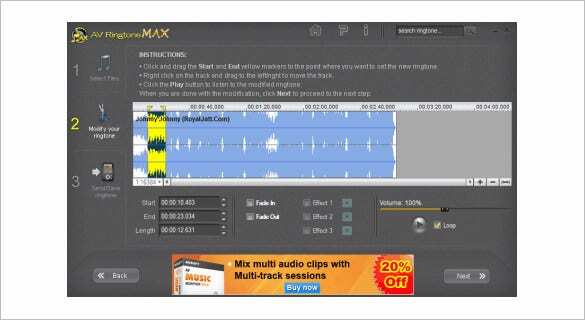 AV RingtoneMAX is an awesome app that allows you to modify the ringtones for free. You can even create an exclusive ringtone through this app in your own voice. The next time you are with your friends and your phone rings, you are sure to get your friends awestruck. The best part is that it supports WAV, MP3, OGG, CDA, WMA, AAC, M4A and MP4 sound formats. If you are looking for new ringtones but not able to find any, why not create your own? 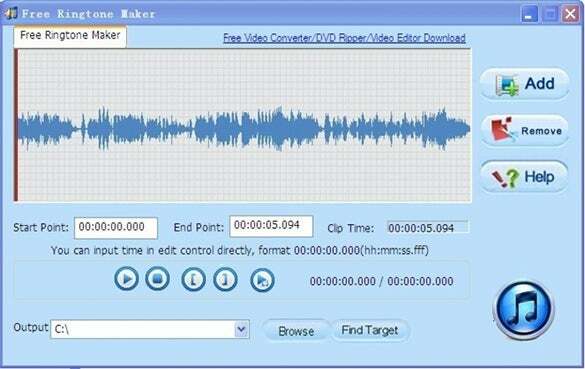 AVCWare Free Ringtone Maker is a user friendly program through which you can make ringtones by using any video file or sound file. You can easily take the soundtracks of the best movies and convert them into ringtones. All those who are not very contented with the ringtones available on their cell phone can take help of ToneShop Ringtone Maker and create impressive ringtones in the audio format of their choice by following simple steps. Did I mention it is compatible with iPhone too? Oh yes! Many phone models support this application. Download it from here. Do you want to take a part of your favorite song and make it your ringtone, but don’t know how? ART Ringtone Maker is the answer to your question. Within a few steps, create your own ringtone regardless of the phone model you are using. Get it here and have the most impressive ringtones in your gallery. 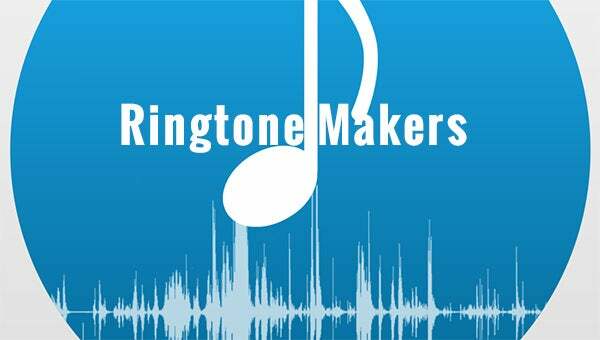 We have summed up a list of best 5 ringtone maker applications for your mobile phone. This ringtone maker programs have earned a wide range of positive testimonials from the users and are really easy to use. You can download these apps for free as well.